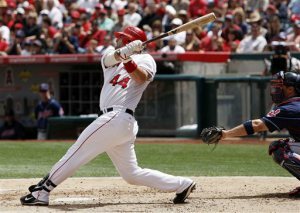 ← Mike Napoli – The Next Jose Bautista? Mike Napoli – The Next Jose Bautista? MLB reports: What a difference 48 hours make. At this time Wednesday night, I was plotting to prepare my blog on Mike Napoli. The theme was going to be the unappreciated and neglected catcher of the Los Angeles Angels of Anaheim and what he needed to finally break through. This blog was born by way of my promise on twitter to write a blog of choice for my 500th follower. Little did I know that one of my tweeps who is a devoted Angels fan would un-follow and follow me on twitter purposely to rig becoming #500. As a compromise, this tweep allowed me to blog on one of my favorite players who also was playing on his team, the said Mike Napoli.